Mitsubishi has launched the 2012 edition of the Cedia sedan at Rs 8.90 lakh (ex-showroom, New Delhi). The new model is called the Cedia Select and comes with many new features. The Cedia Select is powered by a 2.0 litre petrol engine that makes 114 bhp of power and 175 Nm of torque. It sports a 5 speed manual transmission. New features being offered on the new Cedia are a seven-inch 3G Android tablet that is hooked up to a 12 Volt point. It allows users to make and take calls, use the internet and acts as your navigation system. The tablet can also be mounted on to the cars windscreen or alternatively to the headrest so that rear seat passengers can use it as an in car entertainment system. It also sports a Kenwood DVD player with a 6.1-inch touch screen interface with four speakers and a reverse parking camera. Other features include front airbags and rear child-protection lock. The Cedia Select is available in thee colour options called; White Speed, Black Flash and Rally Red. 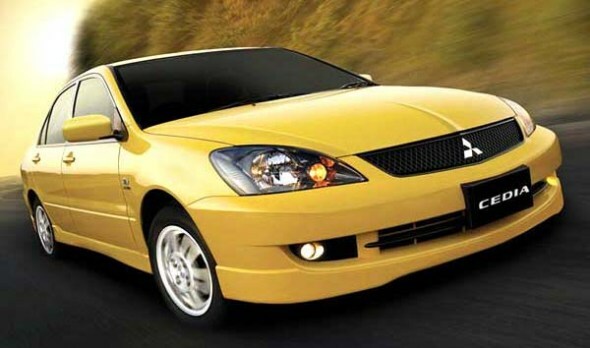 Also read: Mitsubishi Cedia Sports sedan now priced at just Rs.7.99 lakh! In March Mitsubishi India had reduced the price of the Cedia Sports sedan to Rs. 7.99 lakh from the original Rs.9.30 lakh price tag. At present the price of the Cedia Sports Rs. 8.24 lakh. It is also powered by a 2-litre petrol motor like the Cedia Select with the same power and torque output. The Cedia Sports returns an ARAI-certified mileage of 13.17 kmpl. This new variant may come as a welcome change for die hard Mitsubishi fans, while for a large majority of buyers a diesel powered Cedia would have been a more attractive option. « Renault Duster now a 7 seater; gets two jump seats!